After the Atlantic Canadian Association of Geographers (CAG) workshop: Geography Education (previous blog: http://wp.me/p2586i-4xP), I have a renewed enthusiasm for how our rural communities are being served by Geomatics, and related technologies. Two weeks ago, I attended two meetings, one in Annapolis Royal, and the second in Lunenburg. These sessions have given me insight into this question and its relationship to Geography in High Schools. 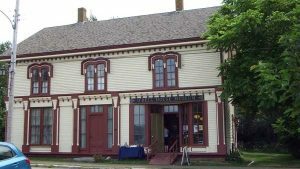 Tim Wilson, a film maker from Bear River, made a presentation to The Friends of the Annapolis Royal Library: ‘Fogo Island: The Little Island that Could’. Tim had spent time on Fogo Island at the request of the National Film Board (NFB), and the Shorefast Foundation. In his presentation, Tim combined early NFB footage from the 1960’s on the ‘Fogo process’ with new material commissioned by Zita Cobb for the Fogo Inn, in conjunction with the Shorefast Foundation. The NFB ‘Fogo process’ uses film to document the life and issues of the small communities on Fogo Island. At the time, it was an innovative, new approach to economic development and proved to be an instrument of community engagement. The Shorefast Foundation under the guidance of Zita Cobb, along with the Fogo Inn, have focused on the culture and history of the island. They created a unique ‘high end’ tourism destination. I shared my thoughts with Jane Nicholson at the Annapolis Investments in Rural Opportunity (AIRO). Recently, I also met with Brian Arnott, Pierre Guevremont and Tony Walters in Lunenburg. 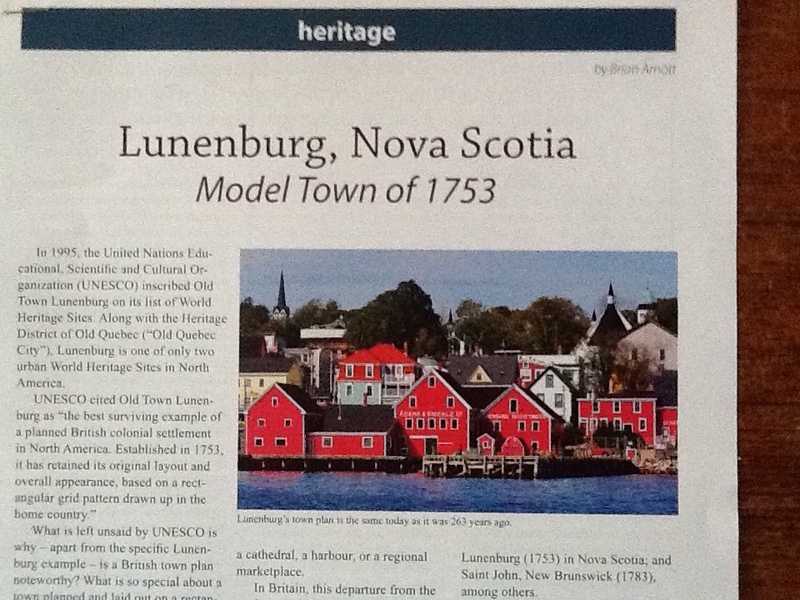 Pierre and Tony are both members of the Lunenburg Community Network (LCN). 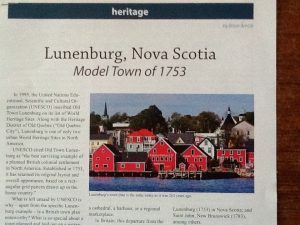 Brian is a Heritage consultant who has written on the history of the planned community of Lunenburg. Our conversation focused on how Wi-Fi, mobile devices and Geomatics can be used to promote Lunenburg to both residents and tourists. We have the model of Fogo Island, in terms of both community engagement and economic development. 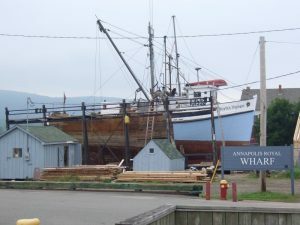 There is a rich history of European settlement in the communities of Annapolis Royal and Lunenburg, that includes English and French speaking settlers, as well as Mi’kmaq First Nations. If the NFB approach to community engagement could be combined with Geomatics technologies, the shared history and geography could be captured and made available to these two communities. The biggest challenge is likely the curation of the rich information resource. The second part, is how does the history and technology relate to the next generation of geography students in the local high schools. There is considerable creativity in the Annapolis Royal region. The school has developed their own Annapolis Royal Space Agency. 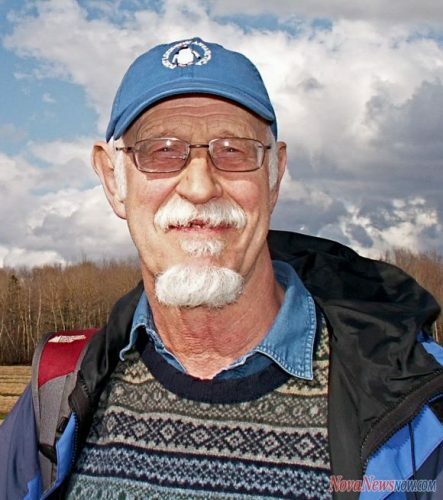 The program involved tracking a balloon across Southwest Nova Scotia. On CBC Maritime Noon (November 16, 2016), there was a segment on ‘Tracking tides with pumpkins‘. Drones were being used to monitor the movement of pumpkins through Grand Passage on Digby Neck. This is another example of Geomatics in the High Schools. Both projects are worthy of support from the Centre of Geographic Sciences (COGS), as well as Acadia University. This linkage between secondary and post-secondary educational institutions was one of the many recommendations from the Sackville workshop. Shorefast Foundation: http://shorefast.org – Zita Cobb. 2 comments on "A Tale of Two Communities"
Through your journeys of discovery, you have definitely illustrated our need to have all levels of education collaborate with each other and immerse themselves into our communities — as leaders and followers.